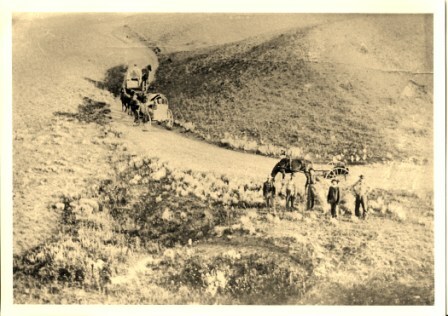 By the late 1880’s, for a variety of reasons, much of the former booming cattle industry was in the process of busting. 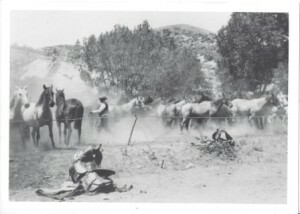 The cattle barons faced increasing competition as cowboys in their employ and increasing numbers of settlers to the region began building their own herds. Such small cattlemen began legally homesteading the choicest spots on the public range that the cattle barons were accustomed to having to themselves. Increased settlement, as well as the Homestead Act, combined to create overstocking of the range. Under the Homestead Act of 1862, settlers were allowed to acquire 160 acres of the range. Unfortunately in the arid West, where farming was not viable but the land had evolved to grazing instead, this limitation on acreage caused the cattlemen to necessarily adapt by grazing their cattle on the adjacent public range. Unfortunately, because no one owned it, everyone else grazed it too. This overstocking would eventually culminate in the disastrous winter of 1886-1887. That winter, the thermometer dropped and the snow piled deep, where it remained all winter. Great blizzards swept the plains, and thousands upon thousands of cattle died from the exposure and the lack of grass. Tensions between homesteaders, small-time cattlemen, cowboys, and the large cattlemen over the use of the range grew. The two groups also conflicted over the common practice of mavericking. Unbranded calves were considered “mavericks,” legally belonging to no one and could therefore be branded/thereby acquired, by anyone with a registered brand. Although mavericking was practiced by the large outfits, they started to view it as rustling when practiced by the smaller ranchers. Soon the barons began using their power and influence in the Wyoming Stockgrowers Association, the state government, and the press to maintain their control of the range. The Barons began to blackball cowboys who owned cattle; they enacted roundup laws favoring the large outfits and passed a law against mavericking. The big outfits also complained that it was cattle rustling, not their management, that was causing losses. By the late 1880’s and 1890’s, the press responded with sensational stories of lawlessness and cattle rustling in Johnson County. The small cattlemen rebelled by conducting their own round-ups, and continuing to maverick. Local juries would not convict accused rustlers, who they saw as fellow citizens who were simply continuing the practice of mavericking in order to make a living. Resentments grew on both sides. With their control of the range slipping away, the cattle barons resolved to use violence to settle the issue in their favor. The cattle barons and whatever law they could control soon began to target the most irritating among their opponents. One of these was Nathan D. Champion. 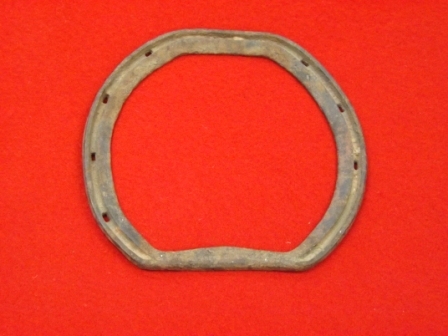 Like many of the local cowboys, Champion was from Texas. He worked as a cowboy for a time and was well-known as a top cow hand at the EK Ranch, as well as being good with a gun. He eventually acquired 200 head of his own cattle, and came into conflict with the large outfits by defying the WSGA’s Round-up laws and riding directly into round-ups and cutting out his own cattle. [i] He was considered a natural leader of the so-called rustler element, so much so that he was elected President of a new stock association formed by the small ranchers to oppose the WSGA even though Champion didn’t even attend that meeting. In addition, he was designated to lead this group’s announced spring roundup in opposition to the big outfits. Champion also associated with many other hated small-timers. One of these associations was the Hat Ranch, believed to be the center of the so-called “rustler element in Johnson County. 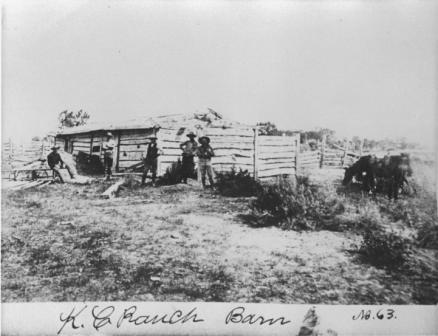 The Hat Ranch was originally located on Red Fork, and its four partners included Jack Flagg, Martin Allen Tisdale (known as Al Allison due to his questionable criminal background), Billy Hill, L.A. Webb, and Tom Gardner. [ii] All had been blackballed from employment from the big outfits for their blatant disregard of the discriminatory round-ups laws implemented by the big cattlemen. Of course, if you call a man an outlaw, and prevent him from making a living under the law, there is a good chance he will act outside of the law. His enemies first tried to kill Nate Champion while he was staying at the Hall Cabin in the Hole in the Wall Valley in the fall of 1891. A group of armed gunmen approached the cabin, and several men entered with pointed guns. In the dim light of the cabin however, they missed Champion, who was laying in the bed, allowing him time to grab his revolver and shoot back, wounding one and sending the others out the door. The attackers fled. Another target of the cattle barons’ wrath was Orley “Ranger” Jones, who had come to the area with his brother Johnnie from Nebraska in 1888. He was a cowboy for the EK Ranch and was well-known as a gifted cowboy and bronc rider. He and Johnnie built a cabin and homesteaded adjoining claims on Red Fork, to go into ranching for themselves. Ranger was engaged, and in preparation for his bride made plans to improve the cabin and add a wood floor. [iii] Due to his close associations, such as Nate Champion and the fact that he owned his own land and cattle, he was branded a rustler. In addition, because he knew the names of the attackers at the Hall Cabin, those involved in the attack especially wanted him killed. Prior to the discovery of Ranger’s body, another murder had been found, that of John A. Tisdale. From Texas, Tisdale attended college and then became an able cowboy, bossing several cattle drives to the North, and even working for Theodore Roosevelt as foreman until he came to Johnson County to start his own ranch. 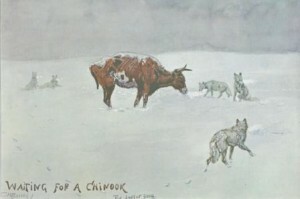 He homesteaded on Red Fork and built a small herd of cattle and horses. Tisdale reportedly felt he was in danger when he left Buffalo in late November after a trip to town for supplies and Christmas presents for his family. It was in a gulch south of the Cross H Ranch where Tisdale was shot from behind by a hidden killer. [v] Tisdale also knew too much about the attempt on Champion’s life, as well as the outlaw past of the murderer- another man from Texas. Despite an increasingly armed and rebellious mood among Johnson County citizens, the cattle barons resolved to attempt to squelch their opposition with an armed invasion designed to kill the so-called “rustler element” ringleaders, such as Red Angus. In April 1892, the Barons organized and some led a group of about 50 armed men, made up of their employees, Wyoming Stockgrowers Association range detectives, and Texas hired guns. They became infamously known as the “Invaders”. The Barons took a secret train to Casper. From there, they rode to John N. Tisdale’s TTT Ranch, which was in league with the Invaders, and rested for the night. 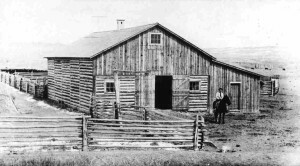 There they learned from Mike Shonsey that several rustlers were holed up at the Nolen cabin of the KC Ranch, including supposed ringleader Nate Champion. Consequently, rather than proceeding with haste to Buffalo, and against Canton’s advice, they decided to stop at the KC Ranch. On the morning of April 9th, 1892, the Invaders positioned themselves undetected around the Nolen cabin in Kaycee, where the “rustlers” were staying. Two trappers, who were also staying at the cabin were captured by the Invaders when they went to get water. When the two trappers failed to return, Nate and his friend, Nick Ray, became suspicious. Nick cautiously stepped out, but was mortally wounded. Under heavy fire, Nate dragged him back into the cabin. Nick soon died as Champion continued to hold off his attackers. The bullets came in like hail, with occasional pauses in the firing. It was during one of these pauses that Jack Flagg (also high on the Invader’s list of people to kill) and his seventeen-year-old stepson, Alonzo Taylor came by. As they neared the bridge, several men ordered him to halt and fell in behind him. Jack recognized Mike Shonsey’s horse, which tipped him off that there would be trouble, so he kept going. The men started firing, stampeding the team across the bridge. Jack also made it across the bridge, dodging bullets along the way, but the Invaders were afraid to follow because Nate Champion had a clear shot the length of the bridge. Jack caught up with Alonzo, Alonzo cut a horse from the team, Jack grabbed a rifle (which only had three shells in it) and took off. With bullets dropping around them, they managed to escape. Unfortunately, Jack and Alonzo had left the means for the invaders to get Nate Champion. The Invaders took the wagon they had abandoned, filled it with hay and wood, and pushed it up against the cabin, where it was set ablaze. With the cabin billowing smoke, Nate emerged from the back at a run, with his rifle and revolver, attempting to escape into a nearby ravine. There was no escape, and two invaders shot him. However, the Invaders zeal for killing Nate, who fearlessly held the Invaders off for hours, delayed them long enough for word to get out about the events unfolding. This allowed time for an alerted citizenry to rise up in fury against the Invaders. pro-Invader TA Ranch where they were besieged by local law enforcement and citizenry in a three-day gun siege. In all likelihood they would have been killed, the buildings that sheltered them burned over their heads or shot when they attempted to escape, except for the intervention of their powerful friends in Cheyenne and Washington, including the Governor, Senators, and even the President of the United States. The military was dispatched from Ft. McKinney just in time to take the besieged men into custody, thereby saving their lives. They were put under house arrest in Cheyenne, given their guns, and told not to leave town. The Texans all went home, and none of the Invaders were ever charged for their crimes. Locals have not trusted Cheyenne, or Washington D.C., ever since.